This One Bedroom home will surprise you with it's fresh presentation. Well maintained lawns and established gardens for a beautiful relaxing outlook. This home is ready for an Owner to move in and make it their own or great opportunity for the investor. 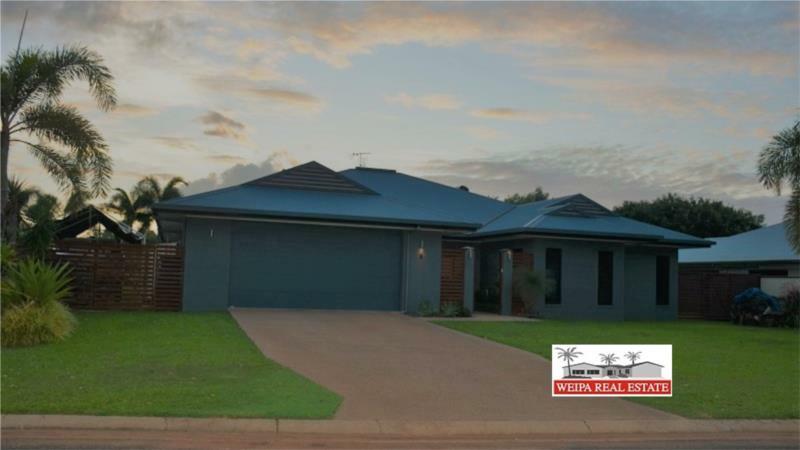 These split level duplex homes are only 4 years young and built in a prime location neighbouring the greens of Weipa's local Golf Club. This is a neat Three Bedroom Home on the edge of Nanum Estate complete with private Studio dwelling and shed. This home will satisfy the hobbyist with double lockable shed, large carport with mezzanine flooring and power installed to the carport and shed area. This four bedroom home sits on a 1000m2 block in the Nanum Estate. This is a well presented Four Bedroom home in the Nanum Estate. This home is a unique design for Weipa. Exclusively listed with Weipa Real Estate, this very spacious home in Golf Links Estate is designed for the large family with entertaining in mind. This is a grand design home that has been well maintained and ready to welcome its new family. Great for entertaining or the large family with such spacious open plan living areas.